Humans are social animals by nature. Often, when we are struggling with issues, we feel alone in our pain. Sadness, shame, and anxiety can convince us that it is better to isolate ourselves than to reach out to others. Group therapy offers a safe place to explore our feelings in the company of other individuals who truly understand our pain while looking for solutions together. Hope: At Fox Valley Institute, we see clients feeling more hopeful when they meet other individuals who have been in similar situations and have successfully moved forward or learned to cope in healthy ways. Knowing that others have felt the same way can also decrease the shame we feel about our experiences, and increase our optimism about future. Learning: Groups can be a great place for us to learn from each other. Our therapists may use part of the session to provide education about a condition or strategies to use to alleviate symptoms of a condition. Then, group members may share their experience in using those strategies and how they tailored the strategies to best fit their lifestyles. Participants can ask each other the types of deep questions that one might be uncomfortable asking in typical social settings. Communication: Healthy communication is key in having successful relationships. In group therapy, we have a chance to rehearse healthier ways of communicating our thoughts and feelings that we can then apply to our everyday lives. When a group becomes cohesive and trusting, members can offer constructive feedback to one another about the way they communicate in group. With this insight, a member might have new perspective on how to interact more successfully in the outside world. Group Cohesion: Your group will consist of a therapist leader and several group members who have been selected for the group based on commonalities. The group will engage in activities to form a trusting bond between its members, as the most effective work can be done when there is a sense of unity within the group. Confidentiality: The group will maintain confidentiality to protect the privacy of one another, as well as protect the group bond. Everything said in session stays in session. Expectations: Members can decide how much personal information to share with the group, based on their comfort level. Members may find that they become more comfortable sharing after a few sessions. We ask that members make a commitment to coming to group consistently, as this will help create group cohesiveness. Group therapy has benefits on its own and can also serve as a great supplement to individual therapy. 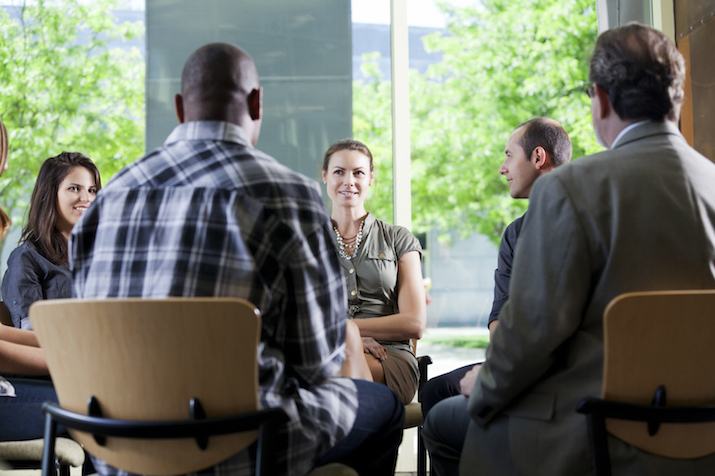 At Fox Valley Institute, we have therapists who are experienced group facilitators. We offer warm and comfortable spaces for groups to meet and feel safe. Since we are always looking to form new groups to meet the needs of our community, if you don’t see a group that would be helpful to you, please let us know so we can potentially form one.